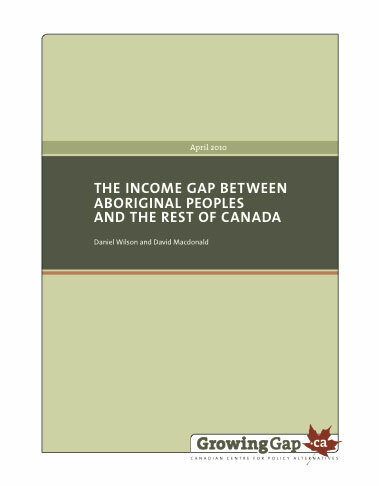 Income inequality has been growing in Canada, but it's even worse for Aboriginal peoples. For every dollar non-Aboriginals earned in 2006, Aboriginal peoples earned only 70 cents – a slight narrowing from 1996 when it was 56 cents for every dollar. What's different between this recession and the last one? How many jobs did the stimulus funding create? What proportion of the federal deficit was caused by corporate tax cuts? Commentary on the federal budget and Speech from the Throne by CCPA staff and research associates are available on the CCPA website. 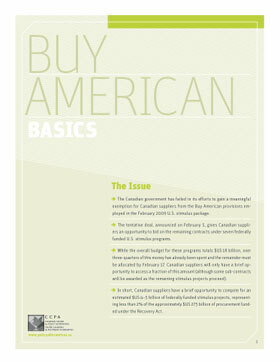 The CCPA released the Alternative Federal Budget for 2010 today. In addition to the budget document, the alternative budget put forward a six point jobs plan to confront the jobs crisis and get Canada working again. The plan would bring unemployment back to pre-recession levels by the end of 2011 and demonstrates there is a better way to reach fiscal balance through smart investments and smart taxation. A new analysis by the Canadian Centre for Policy Alternatives finds the early praise given to the tentative Buy American deal is undeserved. In the Winter 2010 issue of Our Schools/Our Selves editors Larry Kuehn and Erika Shaker delve into the struggle between the demands for standardization and the reality of diversity in education. A struggle dominates education these days. It is a struggle between demands for standardization and the reality of diversity. This issue of Our Schools / Our Selves speaks to many of the various concepts that impact and are impacted by education -- and are so often at odds with the Achievement Agenda" that repeatedly appears to privilege narrow evaluation over broad, authentic education and learning, and standardization over diversity. A new CCPA report finds Canada's Employment Insurance system is failing the recession "stress test" and many unemployed workers are falling through the cracks. Is EI Working for Canada's Unemployed? makes recommendations for improving the EI system and calls on the federal government to make EI reform a key priority in the upcoming buget. Click here to read more and download the full report.